Hi Everyone! I know it’s been awhile since I’ve posted on the blog. As many of you have noticed, I’ve taken an indefinite step away from blogging and long distance hiking. 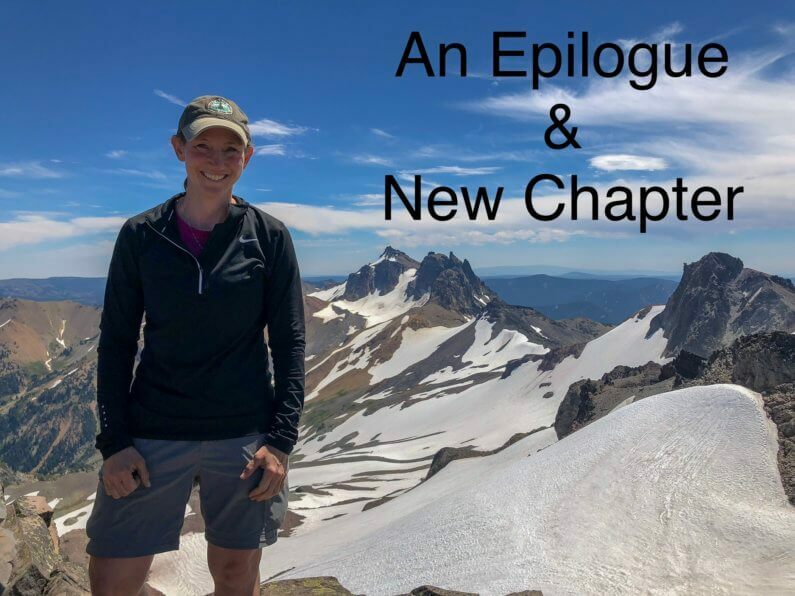 I’ve been giving it some time to settle into things here at home (Portland, OR) before posting this epilogue for a very significant chapter in my life. On top of Old Snowy Mountain in Goat Rocks Wilderness along the PCT in Washington. In May, I returned from Nepal with a somewhat unexpected answer to the question, “What’s next! ?” If you have yet to read that post, it’s worth reading (or rereading) to fully appreciate all that I will be attempting to explain in this possibly closing post. In short, of all the places in the world that I have the freedom to roam, I want to be HOME in the Pacific Northwest! Some of you have kept up on my adventures this past summer via my public Instagram feed. That is where I’ve been most active in sharing publicly, and where I will mainly be sharing my journeys in the future. You’ll notice pretty quickly that I’ve gone in a surprising direction that some would consider backwards. 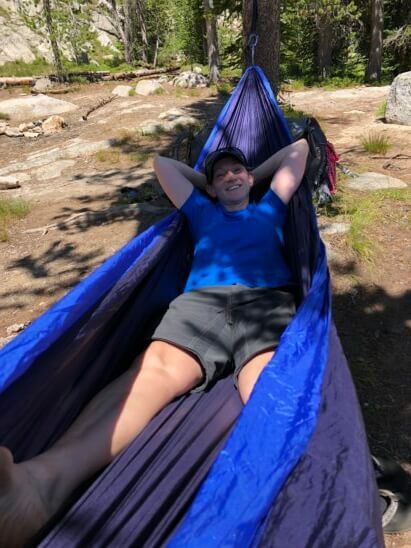 I’ve been transitioning from long distance backpacking to shorter trips, much less distance, more day hiking, car camping, lounging in a hammock, and owning a camp chair for the first time in my life. It’s been glorious, ha! I’ll come back to that in a minute, but first, a bit of background. The main point I made in my last post is that I see life as the ultimate thru-hike. The past 8 years of long distance hiking and blogging are just one section of a much bigger hike that is life. Although, many know me through long distance hiking, and I’ve valued the rare and unique time I’ve had to spend on long trails, it does not define me. As my trail name “Wired” indicates, I have always lived a life that burns the candle at both ends; working hard and playing hard. I just have never known any other way. Two summers ago, I did some solo travel in the mountains of France. I started to feel a change within myself wanting to downshift a bit. I was making progress towards being more gentle to myself and allowing myself more time to relax without feeling undeserving. I started to stop earlier at the end of my hiking days, and slept in each morning. Then, overall throughout the days, I pushed less. In the past, doing this would make me feel anxious or antsy. For the first time, taking it easy felt surprisingly good, and I was allowing myself that space. Maybe I finally got the wired-ness out of my system! From that trip, I returned home to Portland last year having discovered a newfound feeling of levity that was really quite remarkable for me. I was acutely aware of this and didn’t want to lose it, but the gears were already in motion for my challenging trip to Nepal and my regular 60+ hour work weeks (that allow me to take months off) of substitute teaching and nannying…not exactly a relaxing plan. Soon after returning, I made new a friend named Julie at a backpacking seminar. Like me, Julie moved to the Pacific Northwest after a lifetime in Illinois, had been in the field of education in the Chicago area, likes to watch shows (ha! ), and was also focusing on shifting from the overworked lifestyle to one that allows more quality relaxed time…especially time spent outdoors. We were a good influence on one another. We kept each other accountable to NOT working too much and spending more relaxed time both in and outdoors (to clarify the misconception, thru-hiking is quite tiring). It was remarkably refreshing and fun. Over time, we came to the realization that we both had found our life partner in one another. It was actually just as simple as that. Like a final puzzle piece to complete it all, that fits just right. Pretty awesome! I reluctantly left Portland in the spring and went through the motions in Nepal. Understandably, I just wasn’t interested in being away from home. Independently of meeting Julie, my motivations and goals were shifting over the last couple years. As life goes, things evolve, and I am just excited to “be” for the first time in my life. It might seem a bit backwards, but I am truly excited to have a leisurely 40 hour work week and not work on weekends for just about the first time ever. That to me is my personal pre-retirement. It’s so enjoyable! Of course, never say never, but I don’t foresee future multi-month trips and blogging. There are no plans for long distance hiking or transforming Julie into a long distance backpacker. I still may do shorter long hikes if I ever get the bug, but I really doubt I’d blog about them. For now, I’m really enjoying local day hiking, shorter backpacking trips, and car camping. All of that is as exciting and new to me as thru-hiking would be to others. So much is catered to mainstream backpacking and hiking that the possibilities are endless. We definitely foresee a life together with much of it spent outdoors. It doesn’t need to be thru-hiking, and I actually prefer that it not be. I’ve been there and done that. We have found something that is OURS in the more conventional outdoor experiences. Some may scoff at the thought and wonder how I could possibly enjoy being in more of the mainstream areas that have crowds after thru-hiking. Really, it’s not about escaping people, but more about enjoying nature in our own bubble of contentment. I don’t want to neglect or minimize the significance of the past 8 years. We have all gone on this journey together with no idea of where it would lead. Look how far we’ve come! Those of you that have been there since the beginning know that there was much more than hiking going on out there for me. The trail and blog gave me so much, but most importantly, I feel like it gave me the appreciation for the details that make up the whole; those small moments, sights, and crossings that may seem slight or insignificant. It doesn’t need to be a grand view or epic mountain summit to be impactful, worthy and momentous. In fact, it’s the quiet and simple ones that I most cherish. The trail gave me that, and with it came a great deal of levity, peace, and HAPPINESS. Well done Wired…well done. See you around the mountain! Like life overall, chapters of our life have an arc–a beginning, a middle and an end. You are so wise to recognize when an end has come, opening up space for a new beginning. Wishing you and Julie so many adventures together! How wonderful. Life is indeed a journey,and full of adventure and discovery.You are on a whole new adventure-may it be full of wonder and love and laughter and excitement. Just to remind you of who I am-you stayed with my parents when you were ending the Cape to Cape,in Western Australia, a couple of years ago. I’ve continued to enjoy your hikes . I’ll be seeing you on instagram. Best wishes for all that lies ahead. You already know how beaming with joy I am at this! I can’t wait to meet The Adorable Julie. Your life together is and will be so beautiful. I am so ecstatic that you’re living your destiny so fully. Sending you love and hugs galore! So happy for you, Erin! You inspired me to do my first thru-hike and it changed my life in ways I could never have imagined. (I actually met my now husband on the PCT, ha!). I’m so very glad to hear you’ve found your balance and your person. Wishing you all the best going forward! Thank you, thank you, thank you so much, Erin, for your tireless blogging and letting us share in your wonderful adventures. I will miss you, but balance and doing what makes you happy in life is so much more important. Enjoy your new life with Julie – hiking closer to home, evening sunsets, and relaxing around the fire in your new camp chair. You deserve it! How wonderful for you to have found happiness and a life partner. Thank you for taking us on your hiking journey. It has been inspirational to say the least. My husband and I are half way through an 800km hike across France using many of your tips and experiences to get us here. Wishing you and Julie the very best. Thank you, Erin. You’be shared the incredible beauty of places I will never visit as well as the journey of your life. I wish you all the best as you continue on the journey of life. Happy Trails! Wishing you nothing but the wonders you deserve in your future. Thanks for the ride! Feel like a chapter in my life has come to an end. On me now to open the next one. Have enjoyed the travels – good luck to to you! Bless you, it has been a great adventure following you these many years! I’m thrilled you have a new adventure and wish you the best ever. And thank you for all your efforts over the past eight years. Your blog has been a joy to read and is an inspiration to many, myself included. See you on Instagram! Wired, I don’t know you except through the blog. I’m not a thru hiker and never will be and appreciated all of your tremendous enthusiam, detail and unvarnished truth. I squealed so loudly when I got to the photo of you and Julie and yelled “WIRED FOUND A SWEETIE!” out loud. Wishing you many many years of happiness together and thanks for everything you’ve shared. Life is a series of adventures and experiences, thru hiking is a great one. Happiness experts say giving and sharing are the best ones. You brought back some good memories to me plus beautiful pictures. My living room looks out on Skagit Bay on Puget Sound with 4000 ft mountains- on a clear day I can see Mt Baker, which I never got time to climb. I am too slow for distance hiking now. Wow! Congratulations on your new journey. Thank you for sharing your adventures. All the best! Thank you ever so much for taking us along on your adventures. I’ve learned so much thru your blog. I’ll never go on long hike but I’ve learnt to appreciate people that do. I’m so happy for you to have found someone special to share your life with. All the best to you and Julie. Wow, you have completed a chapter, and a new one is opening. You have created so many adventures, learned so much, grown, and now luciously fallen in love. How wonderful! I read peace and happiness in your post. You have been a source of inspiration, entertainment, and constant awe for me over the years. I miss your travels and insights already and I am very grateful to have had a little spot on your backpack throughout your journeys, to see what you have seen. When you and Julie are drawn to the many hikes near Bend, I have a guest bedroom for you and maps and books galore! Seriously, I don’t offer my guest bedroom often, but it is yours! I have never been on Instagram. I guess I better go explore if I want to stay “Wired”! So pleased you’ve found a special person and partner, Wired. That’s one of Life’s greatest gifts. I’ve followed your adventures, and I wish both of you the best. Well done Erin and thanks for all the stories. Nice. Have enjoyed all your hiking and posting for all these years, really exceptional in many ways, so thank you for all of it! And very happy that you’ve settled into the next chapter. Really seems to suit you. Just when I thought there couldn’t be a bigger smile in the world, now there are TWO of them! Thanks for this uplifting epilogue, and for those miles I traveled my heart with you. P.S. I had asked you to bottle your smile and mail it. Any chance?….. Thank you wired – i have been truely inspired by you and your hiking adventures-your honest accounts of your hikes gave us insight into the beauty of the natural world and the beauty and growth of an adventurous soul. Way to go friend. I already knew about this but it brings me additional joy to see you put this up or out there! I look forward to meeting Julie. I love her already because she loves you. Congratulations to the both of you! Life is so much better when it is filled with love and adventuress! Like I always say “Believe and Breathe.” You did! Life is a wonderful journey. Congratulations and best of luck for all your future endeavours. It was a pleasure to meet you that day at Chadoora Shelter on the Bibbulmun. It’s been great to follow your story since then. I teared up reading this! Congrats!!!!! It’s a thin line between a life of proof (to yourself or others) and a worthy life. There is a mix where quality of time is spent in all directions. As long as our time is worthwhile, true and satisfying, we can accept that time is short. So happy for you Erin! Happy (short) Trails! Happy for you, Erin, this seems just right. Been following you since your 2011 PCT blog through the Sierra. My wife and I were on the JMT that epic snow year and your writing was a great inspiration and information for us. The film crew from Mile, Mile and a Half were there at about that time too. We almost crossed paths, but we never met. Feel like I know you and we do have a mutual friend, Why Not. Happy Trails, wherever you roam. This is wonderful, my heart is happy for you. Thank you for continuing to share your life with us, especially these sweet parts of life. My best to you and Julie! So happy for your latest adventure in love and hiking with mere mortals. 🙂 🙂 your blog has been wonderful, happy trails to you two! What a perfect ending to your amazing journey. I’m so happy for you two. I hope we get to Portland one of these days soon to celebrate with you two! Big hugs to both of you. I am very happy for you and Julie! It’s a big world and you are opening new doors to great experiences. Before embarking on the CDT in 2016 I found some great advice and gear tips on your blog. Thanks for sharing your experiences and expertise over the years. Congratulations. You are one of the few lucky people finding someone who is your kindred spirit to share your life. Yes, life is a through hike. I have always seen it that way. I have always seen myself as Candide, the accidental Trekker through life and history. Thank you very much for all the inspiration. I will miss you. I don’t know if I can ever be on Instagram since it is such a destroyer of the “secret and sacred places” as a young surfer from Hawaii, I’ve met while trekking the Oregon coast last year, coined the Instagram phenomena where all places get revealed by people too eager to share. I thoroughly enjoyed your posts and updates on Instagram. They were genuine. Best wishes. So happy for you. Thank you for sharing all your adventures with us. Such an amazing and satisfying end to your big thru-hike chapter!! As your step-uncle, I have to admit the big relief I feel – both for your finding Julie, but also for ending the sometimes-too-scary stories from your trips. Lotsa love to both you and Julie! Au revoir, and thank you for all of the (virtual) trips you brought me on. I speak of them often to family and friends. Blessings to you. I am glad you have reached the point in your life that you are at. I see it as part of the aging process where we see the importance of relationships and the foolishness of trying to do all the things we did earlier. I have been following you since your PCT hike and I know I am going to miss your insightful blog; but it is not about me. I pray that you will continue to prosper and happy. May you have the happiest of times. Thank you so much for all the enjoyment you have given me over the years. It has been wonderful following your travels. I wish health and happiness to you both. So happy for you, not only for falling in love, but being kind and gentle (loving) to yourself. Having gone through a similar journey, just a few years ahead of you, I understand. I love that you have seized adventures and opportunities for your passions as so few do. Good luck in your next chapter of new adventures. Hardass. I think it can be under estimated how much long distance hiking can take it out of you and how long it takes to really recover from those trips. it feeds your mind but can really drain the body. part of you wants more but part of you needs less. your contribution to lon disance hiking is still here on line for anyone to benefit from. Congratulations. Thanks for sharing your chronicle with us. Wish you both many happy trails ahead. Thanks for sharing your journeys. Wishing you all the best!! Have a happy Life Erin was good to meet You. Just think of how many miles you hiked to become who you are and to meet your adorable Julie so close to home. I am sure she made her own journey to reach that place, that moment in time. This announcement brings a smile, though it comes as no surprise. I do see your Instagram and those two smiles pretty much say it all! Very happy for both of you. I will miss your adventures, but it is up to me to have adventures of my own. Your life has obviously become richer for you and that is what we all want in some form or other. I am happy you have found someone to share life with and fill each other up with happieness, support and love. You’ve had some amazing experiences that most of us simply dream about. Next steps are important too. Good luck going forward. Nooooooooooooooooo but Yesssssssssssss at the same time. Really happy for you mate. Already following you on Instagram. You have a place to stay when you and Julie come to Oz. So happy for you Erin! There’s no shame in a comfy camp chair and a hammock haha!! So happy you’re following your heart with your soulmate , and thanks for sharing it with us. Aha, I wondered when that might happen… *congratulations,* Erin! Well, I have to say it was wonderful following your adventures. Life is made up of many ‘chapters’. I’m glad you have found a peace in what you’re doing and where you’re heading. I’m still waiting on your book. Put lots of photos in it. Best wishes. Erin, I will miss your posts but am so happy for you and Julie. Enjoy the journey! So happy for you Erin but sad for me!! Have so enjoyed your blogs and following along on all your adventures and will miss them immensely. Wishing you and Julie a wonderful future and many fun times on your shorter hikes. It will be so much more relaxing for you and fun to discover all the fun places in your own “territory”. Not being an “Instagrammer” will probably not hear much about your short hikes. Have fun!! Kudos to you and Julie! What a wonderful post, a lovely postscript to a marvelous 8 year adventure! Finding peace, and the love of your life, is a worthy way to close this chapter of your life. For me, leaving Katie has always been the hardest part of any thru hike, so I take a year off in between to adventure together in just the ways you and Julie are right now, and then I find myself really ready for another long walk, and able to stand the separation. 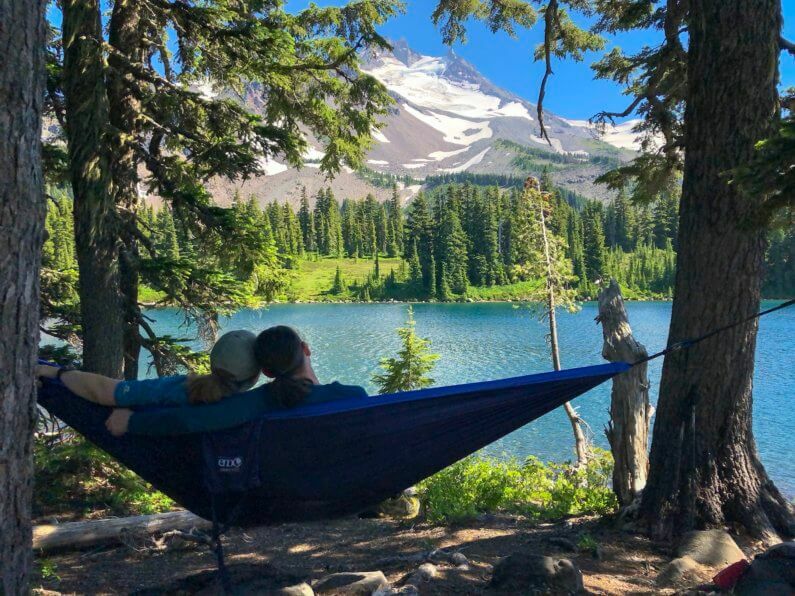 But whether you ever hike a long trail again, or contentedly enjoy your PNW life, you are all the richer for these past 8 years. What a delight to have kept in touch when we were on the same trails, and to stand together at our Triple Crown ceremony! And thanks for all the detail over the years. Your New Zealand info made my TA hike much less daunting than it would otherwise have been, as it did for most of those on Trail last year. Everyone had your blog downloaded!!! So entirely proud of you for following your heart, living your life and pursuing your dreams. 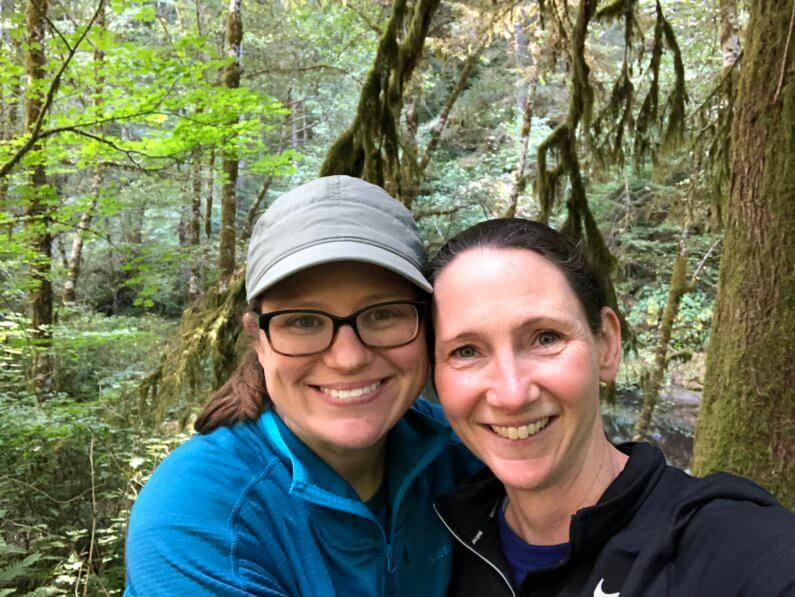 I am so thankful I came across your blog when I did…as a female I didn’t truly quite get that I could do this long distance backpacking thing on my own…you helped pave that way for me…the boogeyman still scares the crap out of me but doesn’t paralyze me as much anymore. And life is so wonderfully amazing…leading us in ways we never anticapated and gives us so much if we allow it! So absolutely happy for you! I knew a life change was in the works. You will be missed but as with all new changes you have an adventure ahead and I’m so happy for you! Congratulations to you both!!!! It warms my heart and brings a smile to my face to feel your happiness in your Epilogue post. Julie is a lucky woman. Wishing you decades of joy together. Nice. Thanks for all the blogging, it can’t have been easy at times but it’s been appreciated. You are a wonder, and wise beyond your years. I’m so happy to see you find your love. It is what drives us to experience the world and to have meaningful relationships, and I’m guessing your openness developed as you made difficult treks with lots of physical and mental challenges, preparing you for this moment. I was looking for snow conditions in the Sierras maybe 10 years ago and your blog popped up. You were wading thru snow on the PCT. I have enjoyed your adventures and wish you the best. I must say, I don’t know you, but I love you as I do my granddaughter. What a beautiful story. You are an inspiration! Your blog has given me so much over the years. I am tickled pink to hear that you’re on a new adventure, even if it’s one I don’t get to come along on. Thank you for everything that you have written, and best of luck with everything ahead. So happy for you two! I have enjoyed reading about your adventures. Best of luck to you in this new journey! That is wonderful news! Wishing you and Julie a wonderful life together. Congratulations, I’m so happy for you. What a beautiful post. I’ve loved reading your blog for the last few years – it’s given me so much inspiration. Thank you. So happy for you Wired! Thanks for sharing all these years. You are an inspiration to me and everyone you’ve touched via this journey. It has been the utmost privilege to be apart of your hikes/journey. Will miss your posts. Best wishes to you and your soulmate Julie on your next adventure in life. 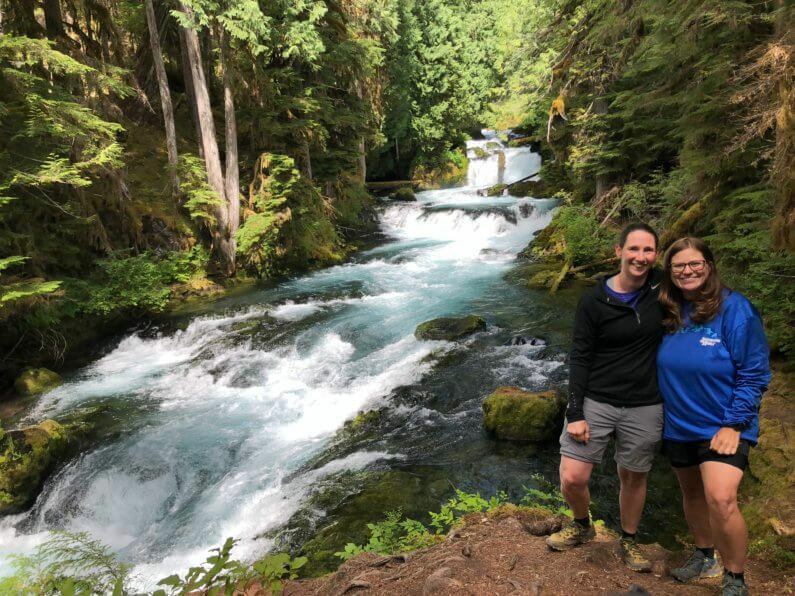 It has been so much fun following your adventures since the PCT – and beyond! You were also my inspiration for long distance hiking, and I thank you for that. It is great to see Julie and you so happy, best wishes on the next chapter of your life. Of all the quotes above, the quote I noticed most was “I love you” and thought to myself, I bet a lot of people feel the same. I know I do. When you’ve spent so much time following a person that you feel as if you do know them and you’ve grown both with and alongside them, it is easy to develop feelings for them, even if it is on a blog. Your writing has been spellbinding, sometimes scary, and a real daily pickup when you are out there doing what you’ve been so good at. It has been a real pleasure walking with you Erin. I am also following you on Instagram and I wish you all God’s blessings in whatever path you take. It is not about quickly finishing the journey but rather in the way you do it and the satisfaction in doing it. There will always be transitions and it looks as if you’ve got a great start on this one. Really savor and enjoy (pun not intended!) this next leg of your long-distance journey. All the best, Warren. Congratulations! I’m happy for your happiness. You may never know how your blog and adventures have touched the lives of so many. I found your blog in 2016 when I had a chance to hike the AT. Your gear list (and blog) was THE thing I used to get me ready…in 3 weeks! I completed my hike in 131 days! I related to the time alone as well as the time with others. I wish you every happiness in this next chapter! Rock on! I’m so happy for you! Your blog has been such a delight to read since I first met you on the PCT at Cathedral Lakes all those years ago. You have a gift! I agree – life is a journey. Don’t rush it. Best wishes to your in this next stage of your life! Congratulations! You look radiant, peaceful and full of happiness! Can’t wait to see where two travel next! I will miss your Blog. It’s been a grand journey. Life changes directions all the time. I wish you much happiness with your new partner in the times ahead. If you two are ever over in the Bend area look me up there are some great day hikes. I’ve followed you since after the AT, learned from your idea’s and mistakes, experiences and insights. I’ve planned my own thru-hike experience based on some of yours and your gear choices…although somethings men shouldn’t wear hiking. 🙂 I’ve read almost every post for a time and had my own life experiences that kept me from reading any post for a time. I was coming to this site when there was only 3 completed thru-hikes: The PCT, CDT and AT and 1 country. Now look it…21 hikes in 7 years and many countries!!! Amazing and such an accomplishment! Just something a Wired person would do! I expected you to run-out-of-gas at some point…I mean…this couldn’t go on forever, you do have a life…and you did so in a classy way. It’s time to have a personal life like the rest of us and Instagram like some of us. You’re due. So sit back and enjoy your new life!!! No hard feelings here. Thank you for sharing your time, your journey and your life with us this past 7-8 years and putting forth the effort to do so! Catch you on the other side…Cheers! While I am so sad to hear you won’t be blogging anymore, I am beyond excited for the reason you’re closing this door. Best wishes for you and Julie (who is indeed, adorable!). I love how the trail brought you full circle to where you ultimately belong. Truly, I could feel the joy emanating from your words as I read this post. Thank you so much for sharing your amazing experinces for so many years! I can’t believe it has been 8 yrs!! I started following you just after the PCT, and follow CDT and AT in real time and the subsequent hikes, as time allow. You are inspiring on so many levels! I am so happy for you and Julie that you have found each other and excited for you starting tjis new chapter of your life. I wish you all the best! I’ll keep following on Instagram. Erin, I first found you when you were walking the Bibbulmun track in WA. I am from Perth and have always wanted to do it but hadn’t got around to it. Turns out I still haven’t got around to it as I followed my life partner back to Canada, but hopefully I will complete it one day! I have enjoyed reading all of your adventures, and the realness you shared throughout. So happy for you and Julie, and look forward to seeing your adventures on Instagram. I am now in Vancouver so not too far and will be adding some of your hikes to my ‘to-do’ list! 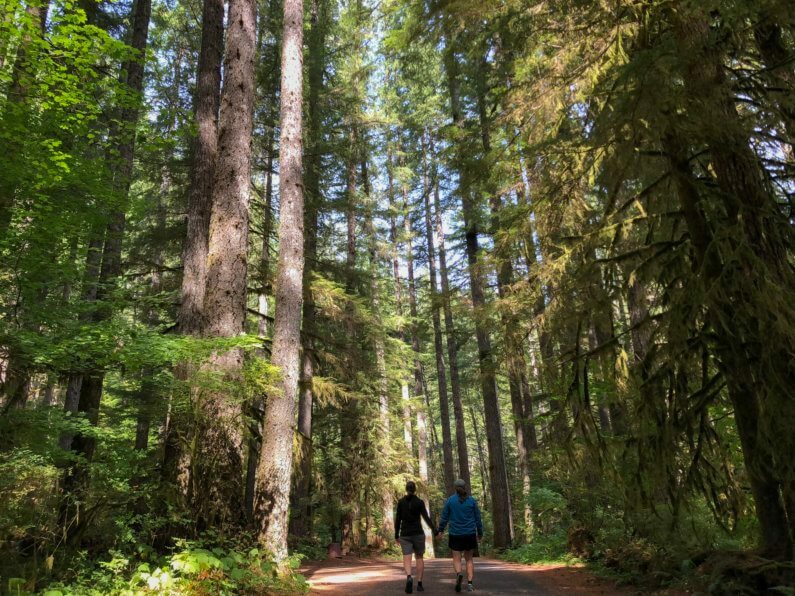 If you’re ever in Vancouver, I can recommend plenty of amazing hikes around here – maybe even join you on one! All the best, Amy. Erin, It was a delight to meet you on the trail (twice, on different continents) and to follow your blog. Yes, life is about doing what you love, which may change over time. Congratulations to you and Julie! Best wishes for wonder times together. Hey Erin, I followed your amazing hikes from the comfort and ease of my couch (haha). Thanks for your diligence in keeping up the blog. It was really enjoyable to follow along. Kinda weird, but sometimes I even worried about you out on the trail. Your narrative and pics will be missed. Thank you for sharing yourself in the blogosphere and giving non hiking folks like myself a really good honest view of the thru hiker world! Wishing you the best. All the best for the next chapter in life’s grand adventure! Erin! I kept thinking that you looked familiar the other day when you subbed in our classroom in LO. My husband and I have been following you and your amazing adventures for quite a while and have been so jealous of your long thru-hikes! We have dreams of doing one someday and have raised our girls getting out on the trail and doing lengthy hikes. I so wish I had realized who you were the other day on the playground with our special kiddos running around. I would have loved to chat camping, trails, and new adventures. I’m so incredibly happy for you and your discoveries and finding your Julie. My husband would love to have you sub in his high school English class:-). Wishing you the best and hope our paths cross again soon! Congratulations and all the best to you! I have only just discovered you and have a lot of blogs to catch up on, but the one’s I’ve read are fantastic, very inspiring, so thank you for sharing them. What would be your top 10 hikes if you had to rank them in order? Thank you for much for years of pleasure following your adventures! I feel like you are my sister (well, since I’m 68 I guess that would be a stretch). It’s heart warming that you are entering a whole new phase of your life with someone to walk beside you in your journey. I’ll miss you but know that you are healthy, happy and in love! All the best to you, Erin. Wishing you (and Julie) happiness wherever life takes you. Your blog has been a valuable source of inspiration and information for many and will continue to be even if you’re not adding to it. I frankly don’t know how you managed to find the time and energy to post as often as you did, and I can only imagine what a relief it must be to take a break. Hope you’ll still chime in on backpacking/hiking advice on social media once in awhile, though. Well, I guess it was probably too much to ask that you hike your entire life just so that we, your blog followers, could share your trips vicariously. Thanks for sharing all of your remarkable hikes! Best wishes for your future. I discovered ‘Wired’ as she hit the PCT trail and what a journey she has taken me on ever since. Erin your hiking achievements are even more remarkable because you consistently recorded each day in amazing photography and detail. Thank you. So glad you have now found this special happiness in your life. Best wishes for the new journey. Thanks, Wired, for lifting me out of the working grind with your posts. They inspired me and I’ll miss them. You’re way out on the plus side of the karmic scale; may good things bless the rest of your life. I saw you post this while I was overseas but only got the chance to read it now! I am so happy for you Erin! This post bought such a smile on my face! Thank you for sharing your past journies with us, you have no idea how reading your travels helped me during some of my dark depressive days stuck at home. It was so wonderful to meet you in person too and see that your lovely persona online is exactly the same in ‘real life’ too. You deserve every happiness, and I’m glad you’ve found it! Best wishes always! Waw! I am really excited for you and Julie to have found each other! You look so great together and I wish you all the best and soooo much happiness! Thank you for all the fantastic blog posts you posted over the years. It has been a pleasure to follow you and I still have to read part of them since I only discovered your great blog some months ago. I hope that you will keep the entire blog online so that we can keep on enjoying and rereading your past stories? Thanks for sharing your amazing journey with us! You’ve had a good run and been an inspiration for me and my wife and we’re happy for you. We section hiked the New Mexico portion of the CDT in 2014 and without you having shared all your gear and other information I’m not sure we would have gone for it. Your gear selections and before hikes and thoughts afterward were our bible. I was nearly 70 and my wife 7 years younger and the light base pack weight was wonderful compared with the 30+ lbs decades ago. This fall we want to add another 300 miles or so. I still re-read all your accounts with great pleasure, learning something new each time and hope you have no plans to remove your site, ever!